Yesterday, my better half reminded everyone that this is the last weekend of the Red Hook Food Vendors' 2012 season, but that's not the only thing going this weekend. Halloween's coming up and everyone's getting in the spirit! 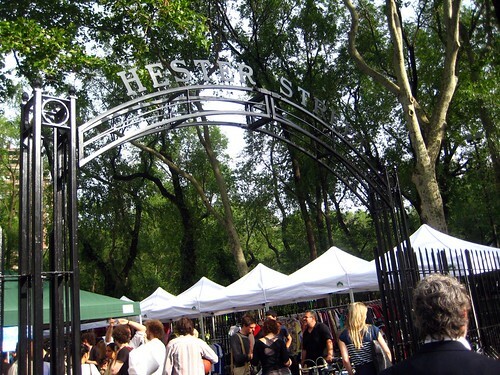 Hester Street Fair is also entering their last weekend tomorrow and will be celebrating with a Halloween Blow-Out this Saturday! There will be pumpkin decorating, a photobooth, a tarot card reader, and of course, food. 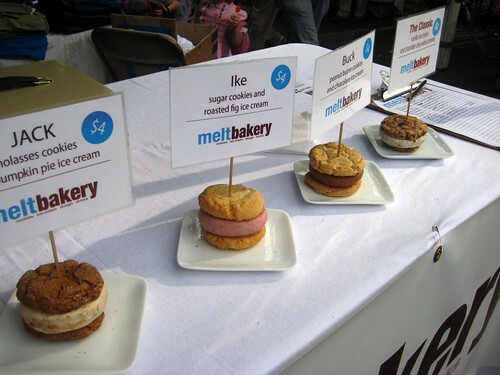 Some of our favorites will be there like Kitty Lee Thomas Sweets, Melt Bakery, Mayhem & Stout, and Cuzin's Duzin. Or you can head to the LES on Sunday for Pickle Day on Orchard Street between Delancey and Houston. There will be ALL SORTS of food, but most importantly *12 different pickle vendors*. Everyone from Brooklyn Brine to The Pickle Guys. Might as well get out and enjoy the weekend before the hurricane comes.